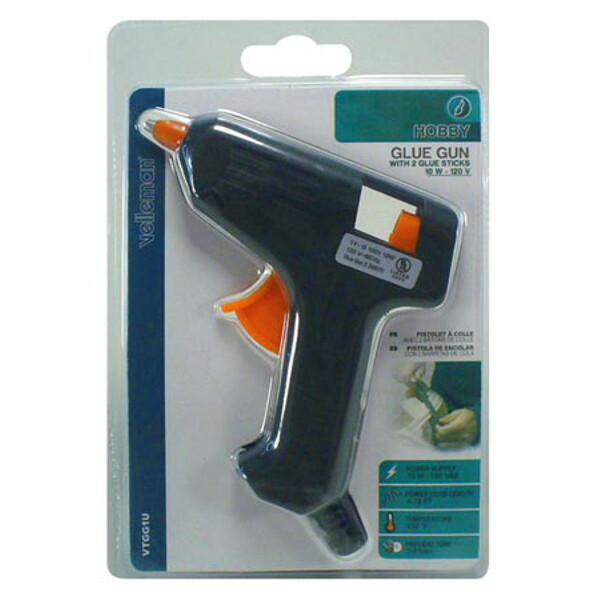 The Velleman Hot Melt Adhesive Glue Gun is a small tool that can be used for a variety of hobby projects. Sometimes you just need to glue some parts onto your robot. Hot melt adhesive glue has a wide range of applications. It is commonly used to bond surfaces together and fill in gaps and can be applied to electric terminal connections for added strength. 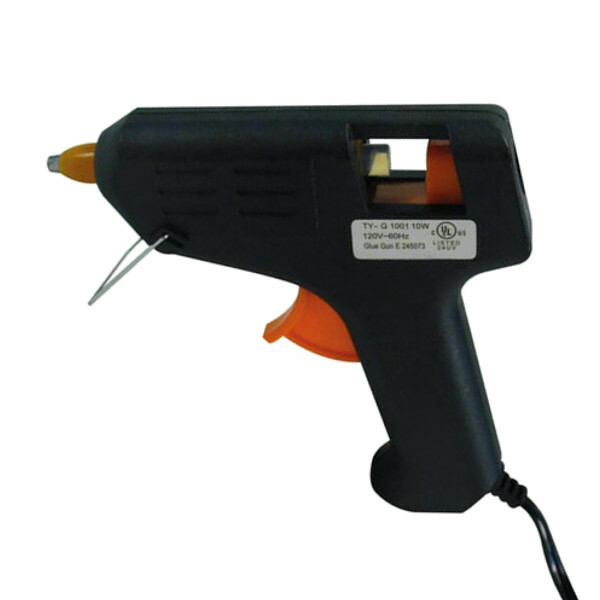 This hot melt glue gun is a small tool suitable for hobby use and robot building. It operates from a standard 110V AC power outlet and consumes about 10 watts. The heating element achieves and temperature of 335°F in 3 to 5 minutes. The package includes two 7x100mm glue sticks but we recommend buying a set of additional glue sticks so you have an adequate supply.